Changing what foods you eat can lower your cholesterol and improve the amount and type of fats floating through your bloodstream. Different foods lower cholesterol in various ways. 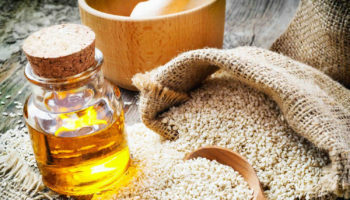 Some deliver soluble fiber, which binds cholesterol and its precursors in the digestive system and drags them out of the body before they get into circulation. 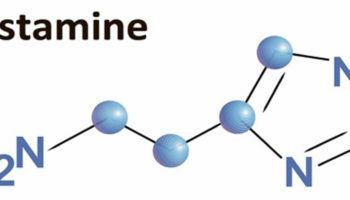 Some give you polyunsaturated fats, which directly lower the low-density lipoprotein (LDL), the “bad” cholesterol. 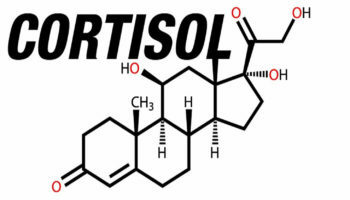 And some contain plant sterols and stanols, which block the body from absorbing cholesterol. A major 2012 analysis of several controlled trials involving hundreds of men and women found that dietary changes reduced LDL and total cholesterol and adding aerobic exercise did enhance the lipid-lowering effects of a heart-healthy diet. A largely vegetarian “dietary portfolio of cholesterol-lowering foods” substantially lowered LDL, triglycerides, and blood pressure. The key dietary components are plenty of fruits and vegetables, whole grains instead of highly refined ones, and protein mostly from plants. Add margarine enriched with plant sterols; oats, barley, psyllium, okra, and eggplant, all rich in soluble fiber; soy protein; and whole almonds. The American Heart Association’s heart-healthy eating plan can help you manage your blood cholesterol level and reduce your risk of heart disease and stroke 1). The simple cooking tips below will help you prepare tasty, heart-healthy meals that improve your cholesterol by reducing excess saturated fat and trans fat. The American Heart Association recommends a dietary pattern that emphasizes poultry and limits red meat. The amount of saturated fat in meats can vary widely, depending on the cut and how it’s prepared. + Select lean cuts of meat with minimal visible fat. Lean beef cuts include the round, chuck, sirloin or loin. Lean pork cuts include the tenderloin or loin chop. Lean lamb cuts come from the leg, arm and loin. + Buy “choice” or “select” grades rather than “prime.” Select lean or extra lean ground beef. + Trim all visible fat from meat before cooking. + Broil rather than pan-fry meats such as hamburger, lamb chops, pork chops and steak. + Use a rack to drain off fat when broiling, roasting or baking. Instead of basting with drippings, keep meat moist with wine, fruit juices or an acceptable oil-based marinade. + Cook a day ahead of time. Stews, boiled meat, soup stock or other dishes in which fat cooks into the liquid can be refrigerated. Then, remove the hardened fat from the top. + When a recipe calls for browning the meat first, try browning it under the broiler instead of in a pan. + Eat chicken and turkey rather than duck and goose, which are higher in fat. Choose white meat most often when eating poultry. + Remove the skin from chicken or turkey before cooking. If your poultry dries out too much, first try basting with wine, fruit juices or an acceptable oil-based marinade. Or leave the skin on for cooking and remove it before eating. + Limit processed meats such as sausage, bologna, salami and hot dogs. Many processed meats — even those with “reduced fat” labels — are high in calories and saturated fat. Often they’re high in sodium, too. Read labels carefully and choose processed meats only occasionally. Fish can be fatty or lean, but it’s still low in saturated fat. Choose oily fish such as salmon, trout and herring, which are high in omega-3 fatty acids. Prepare fish baked, broiled, grilled or boiled rather than breaded and fried, and without added salt, saturated fat and trans fat. Shrimp and crawfish have more cholesterol than most other types of seafood, but they’re lower in total fat and saturated fat than most meats and poultry. Try meatless meals featuring vegetables or beans. For example, think eggplant lasagna, a big grilled portobello mushroom on a bun instead of a burger, or beans-n-weenies without the weenies and salt. Or think of meat as a condiment in casseroles, stews, low-sodium soups and spaghetti — use it sparingly and just for flavor rather than as a main ingredient. Try cooking vegetables in a tiny bit of vegetable oil and add a little water during cooking if needed, or use a vegetable oil spray. Just 1 to 2 teaspoons of oil is enough for a package of plain frozen vegetables without sauce or seasonings that serves four. Place in a skillet with tight cover, season and cook over a very low heat until the vegetables are done. Start with a small quantity (1/8 to 1/2 teaspoon to a package of frozen vegetables), then let your own and your family’s taste be your guide. Chopped parsley and chives, sprinkled on just before serving, also enhance the flavor of many vegetables. + Pan-fry fish and poultry. + Make cream sauces and soups using low-fat or fat-free milk. + Add to whipped or scalloped potatoes using low-fat or fat-free milk. + Brown rice for Spanish, curried or stir-fried rice. + Cook dehydrated potatoes and other prepared foods that call for fat to be added. + Make pancakes or waffles. + Use applesauce in spice muffins or oatmeal cookies. + Include bananas in breads and muffins. + Try zucchini in brownies. Low-fat (1%) or fat-free (skim) milk can be used in many recipes in place of whole milk or half-and-half. Some dishes like puddings may result in a softer set. You can also use low-fat, low-sodium cottage cheese, part-skim milk mozzarella or ricotta and other low-fat, low-sodium cheeses with little or no change in consistency. Let your cooking liquid cool, then remove the hardened fat before making gravy. Or use a fat separator to pour off the good liquid from cooking stock, leaving the fat behind. Foods high in fiber can help reduce your risk of heart disease. It’s also good for your digestive tract and for overall health. Further, eating foods rich in fiber can help you feel full on fewer calories, which makes it a good food choice if you need to lose weight. + Toast and crush or cube fiber-rich whole-grain bread to make breadcrumbs, stuffing or croutons. + Replace the breadcrumbs in your meatloaf with uncooked oatmeal. + Serve whole fruit at breakfast in place of juice. + Use brown rice instead of white rice and try whole grain pasta. Add foods that lower the low-density lipoprotein (LDL), the “bad” cholesterol, the harmful cholesterol-carrying particle that contributes to artery-clogging atherosclerosis. At the same time, cut back on foods that boost LDL. Just as important, a diet that is heavy on fruits, vegetables, beans, and nuts is good for the body in ways beyond lowering cholesterol. It keeps blood pressure in check. It helps arteries stay flexible and responsive. It’s good for bones and digestive health, for vision and mental health. Oatmeal and oat bran, barley and other whole grains can help lower the risk of heart disease, mainly via the soluble fiber they deliver. Oatmeal contains soluble fiber, which reduces your low-density lipoprotein (LDL), the “bad” cholesterol. Soluble fiber is also found in such foods as kidney beans, apples, pears, barley and prunes. Soluble fiber can reduce the absorption of cholesterol into your bloodstream. Five to 10 grams or more of soluble fiber a day decreases your total and LDL cholesterol. Eating 1 1/2 cups of cooked oatmeal provides 6 grams of fiber. At least three 1-ounce servings a day. If you add fruit, such as bananas, you’ll add about 4 more grams of fiber. To mix it up a little, try steel-cut oatmeal or cold cereal made with oatmeal or oat bran. 2) Eating fatty fish can be heart healthy because of its high levels of omega-3 fatty acids, which can reduce your blood pressure and risk of developing blood clots. In people who have already had heart attacks, fish oil — or omega-3 fatty acids — may reduce the risk of sudden death. At least two 3.5-ounce servings a week. You should bake or grill the fish to avoid adding unhealthy fats. If you don’t like fish, you can also get small amounts of omega-3 fatty acids from foods such as ground flaxseed or canola oil. You can take an omega-3 or fish oil supplement to get some of the benefits, but you won’t get other nutrients in fish, such as selenium. If you decide to take a supplement, talk to your doctor about how much you should take. Walnuts, almonds and other tree nuts can improve blood cholesterol. Rich in mono- and polyunsaturated fatty acids, walnuts also help keep blood vessels healthy. Eating about a handful (1.5 ounces, or 42.5 grams) a day of most nuts, such as almonds, hazelnuts, peanuts, pecans, some pine nuts, pistachio nuts and walnuts, may reduce your risk of heart disease. Make sure the nuts you eat aren’t salted or coated with sugar. Eating 2 ounces of nuts a day can slightly lower LDL, on the order of 5%. Nuts have additional nutrients that protect the heart in other ways. All nuts are high in calories, so a handful will do. To avoid eating too many nuts and gaining weight, replace foods high in saturated fat with nuts. For example, instead of using cheese, meat or croutons in your salad, add a handful of walnuts or almonds. Avocados are a potent source of nutrients as well as monounsaturated fatty acids (MUFAs). According to a recent study, adding an avocado a day to a heart-healthy diet can help improve LDL levels in people who are overweight or obese. People tend to be most familiar with avocados in guacamole, which usually is eaten with high-fat corn chips. Try adding avocado slices to salads and sandwiches or eating them as a side dish. Also try guacamole with raw cut vegetables, such as cucumber slices. Replacing saturated fats, such as those found in meats, with monounsaturated fatty acids are part of what makes the Mediterranean diet heart healthy. Another good source of monounsaturated fatty acids is olive oil. Try using about 2 tablespoons (23 grams) of olive oil a day in place of other fats in your diet to get its heart-healthy benefits. To add olive oil to your diet, you can saute vegetables in it, add it to a marinade or mix it with vinegar as a salad dressing. You can also use olive oil as a substitute for butter when basting meat or as a dip for bread. Both avocados and olive oil are high in calories, so don’t eat more than the recommended amount. 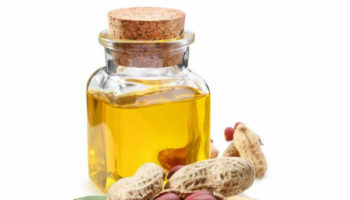 Using liquid vegetable oils such as canola, sunflower, safflower, and others in place of butter, lard, or shortening when cooking or at the table helps lower LDL. 7) Apples, grapes, strawberries, citrus fruits. Pears and apples have a lot of pectin, which is a type of fiber that can lower cholesterol. So do citrus fruits like oranges and lemons. Berries are also high in fiber. 8) Eggplant and okra. These two low-calorie vegetables are good sources of soluble fiber. Foods are available that have been fortified with sterols or stanols — substances found in plants that help block the absorption of cholesterol. Some margarines, orange juice and yogurt drinks come with added plant sterols and can help reduce LDL cholesterol by 5 to 15 percent. The amount of daily plant sterols needed for results is at least 2 grams — which equals about two 8-ounce (237-milliliter) servings of plant sterol-fortified orange juice a day. It’s not clear whether food with plant sterols or stanols reduce your risk of heart attack or stroke, although experts assume that foods that reduce cholesterol do reduce the risk. Plant sterols or stanols don’t appear to affect levels of triglycerides or of high-density lipoprotein (HDL), the “good” cholesterol. Whey protein, which is one of two proteins in dairy products — the other is casein — may account for many of the health benefits attributed to dairy. Studies have shown that whey protein given as a supplement lowers both LDL and total cholesterol. You can find whey protein powders in health food stores and some grocery stores. Follow the package directions for how to use them. Eating soybeans and foods made from them, like tofu and soy milk, was once touted as a powerful way to lower cholesterol. Analyses show that the effect is more modest — consuming 25 grams of soy protein a day (10 ounces of tofu or 2 1/2 cups of soy milk) can lower LDL by 5% to 6%. Black beans, kidney beans, lentils. All are rich in soluble fiber, which binds to cholesterol in the blood and moves it out of the body. Recent studies show eating 4.5 ounces of beans a day can reduce LDL levels by 5 percent. Try black bean burritos, or dip some veggies in hummus, which is made with chickpeas, for an afternoon snack. Supplements offer the least appealing way to get soluble fiber. Two teaspoons a day of psyllium, which is found in Metamucil and other bulk-forming laxatives, provide about 4 grams of soluble fiber. Although some fats are healthy, you need to limit the saturated and trans fats you eat. Saturated fats, like those in meat, butter, cheese and other full-fat dairy products, and some oils, raise your total cholesterol. Trans fats, often used in margarines and store-bought cookies, crackers and cakes, are particularly bad for your cholesterol levels. Trans fats raise LDL cholesterol, and lower high-density lipoprotein (HDL), the “good” cholesterol. Food labels report the content of trans fats, but, unfortunately, only in foods that contain at least one gram per serving. That means you could be getting some trans fats in a number of foods, which could add up to enough trans fats in a day to be unhealthy and increase cholesterol. 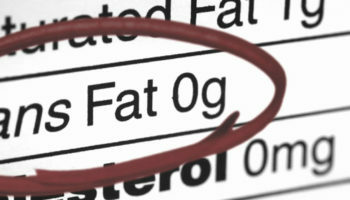 If a food label lists “partially hydrogenated oil,” it has trans fat, and it’s best to avoid it. In addition to changing your diet, making other heart-healthy lifestyle changes is key to improving your cholesterol. Exercising, quitting smoking and maintaining a healthy weight will help keep your cholesterol at a healthy level. 15) Weight and exercise. Being overweight and not exercising affect fats circulating in the bloodstream. Excess weight boosts harmful LDL, while inactivity depresses protective HDL. Losing weight if needed and exercising more reverse these trends. Remember, many other things affect your chances of getting heart disease. Smoking, diabetes, high blood pressure, obesity, and lack of exercise also raise the risk. Becoming more physically active. A sedentary lifestyle lowers HDL cholesterol. Less HDL cholesterol means there’s less good cholesterol to remove LDL (bad) cholesterol from arteries. Physical activity is important. Just 40 minutes of aerobic exercise of moderate to vigorous intensity done three to four times a week is enough to lower both cholesterol and high blood pressure. Brisk walking, swimming, bicycling or a dance class are examples. Smokers can lower their cholesterol levels and help protect their arteries by quitting. Nonsmokers should avoid exposure to secondhand smoke. Being overweight or obese tends to raise LDL cholesterol and lower HDL cholesterol. Losing excess weight can improve cholesterol levels. A weight loss of 10 percent can go a long way toward lowering your risk of high cholesterol — or reversing it. Are Genetically Modified (GM) foods safe to eat ? Is oatmeal good for you ? What are refined carbs ?